Everything Is Possible: The Law Of Attraction. Abundance And The Soul. Perhaps there is something that has not yet been discussed about the law of attraction or at least not in relation to the wishes of the soul. Not how it works, but what it is that we are asking for and why it does not seem to work for most. The secret to the law of attraction is to raise our vibrations to the vibrational level of what we ask. My perspective on this is not in regards to how to raise vibrations to a level which matches the object of our desires, but what we ask for and why. As with everything else in life, I believe that when it comes to manifesting we are trying to find short cuts to what we want to achieve, as in building the house from the roof. This is the way in which we have been educated somehow by a system that offers immediacy in almost everything we want provided we can afford it. 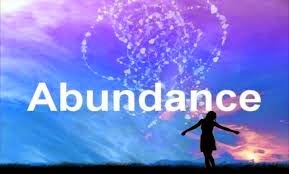 I believe there is a important disconnection from the source of abundance we all have within and our desires. And here is where we go wrong and what to do to rectify this belief. The world we live in is strongly based on materialism, so it is not wonder that when we ask for something we often'Learning Self-Love' I already discussed that in order to find love outside, we have to find it within. Love, self-love in whichever way it comes to us is essential to receive the things we want, reason for which, 'Learning Self-Love' is the first of a series to learn how to tap into the endless source of love in all of us, and the beginning of abundance. But there is more. There is a great divide in between the things we truly want and the things we ask for. As we separate from love and the soul at a very early age, we learn to love the material, security and the comforts that modern life has to offer. In most cases, none of these things make us happy and it shows in the collective expression of the deep inner void in the majority of us, for which we find no solutions. The truth is that despite a lifetime of being unable to find what we want outside, we humanity has not yet decided to change directions so as to looking within instead. We spend our lives looking for answers in others, seeking opportunities elsewhere, wanting to leave our places of origins, which hardly ever seem to satisfy us. There's a conflict in most of us when it comes to the place we were born. All our memories and experiences lie there and too often what we try to do is to run away from them. There is no place to where we can possibly escape from memory. By rejecting to explore memory, experiences and the emotions that we try to leave behind, we are also neglecting to re-examine who we are. Memories return to us to show us something we missed. These could be good or bad memories. In these thoughts we could find everything we want, including the door to our source of abundance, but in order to do so, we must go through the experience again. This is a topic that requires greater length than what I can offer in this space today, for which reason I will return to it, so as to cover it with the time and dedication that it requires. One of the problems we face is thought, leading us to endless inner conversations. At the same time these conversations are controlled by the ego, and ego resists feelings as well as the reality of memory, especially if it springs from negative experiences. Separating from love and the soul make us want things which are ego controlled, therefore what we ask for is a need and a want that comes from a false source. When using the law of attraction it is important to ask to return to our source of abundance, and this lies with the child we once were. The conflict resides in the simple fact that what we ask for does not resonate with what the soul would like to receive at that time. We ignore the messages of the soul. The obvious example is that we are constantly asking for money. The soul cannot be bought with money, but integrated with love. In times of scarcity everyone wants money and more money, as if it could resolve all our issues. While I agree that having a solid financial base makes life easier for everyone, in reality money is only a distraction from the real sense of lack. This is self-love. We live in a material world, and we must of course cover our basic needs and maintain a balance between the spiritual and the material. If we can enjoy more of the material there's no reason to renounce to it, but this is somewhat a trap. As we concentrate in external sources to provide what we lack, we do not request for what we really need. The effect is that we separate even farther from the soul. 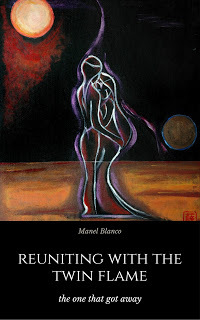 My suggestion is that we reconsider and we begin to rebuild from the foundations of the soul. What is it that our soul wants, rather than what is it that I want to make my life more comfortable. Are we being realistic when asking the universe for the things we want? The soul is a child. This child wants to play and dance and sing and go on adventures. This child is love and it is in love. What is it that this child wants? When asking, the same principle applies, am I asking the universe for tonnes of money to invest it in the soul or to make the walls of my fortress higher and stronger so as to keep the illusion of separation from the rest of the world? Is it to show how much I have and how successful I've been or do I want to share my fortune with the rest of the world. Where is the money going to take me? Is it going to take me on an adventure or is it going to keep me stagnant in the same place where I am now? To me the answer is clear, I am on an adventure wherever I am. There's no need to live protected in the false illusion of safety. Money will come to cover my needs. The soul and money can move along together. We don't have to renounce to either. I have used the example of money because currently money is a psychotic energy that controls the lives of billions of people. It is a fact that millions of people are waking up to the idea that money is not the answer, and while we cannot renounce to it completely, perhaps it is time to change this collective perception that if we had enough not to worry ever again about our financial situation life would improve. It would not. Lack of it comes from a place of scarcity and stagnation. Our choices have taken us to the current economic situation. Money like everything else is an energy and if what we want from money is just to take and take more, we are creating another imbalance. Energy must flow and so does money. How we spend our money is also a subject which I will cover in a future blog post and what says a lot about who we are and what we can achieve. Let's balance our needs; the most immediate needs, but also the needs of the soul. Only a few in this lifetime would accomplish to guarantee the safety of their financial stability. Seeking this kind of safety is a hidden message from fear; and fear will never be able to manifest what we want. The soul on the other hand likes the adventure and the unknown. The disparity creates an energetic imbalance which interferes with the process of asking and manifesting. We cannot move from our present situation without the soul. The soul has remained buried within by a mind that thinks too much and that is usually obfuscated by negative thoughts. The world is covered by a cloud of negative thinking and impossibility, as this is what we have learned to believe. Coming out of it begins within and begins with the soul. Let's make the child laugh again and then everything will be possible. And just one more thing, let's be careful what we ask for. Everything comes with additions we might not have foreseen. Deep down what we all want is peace and love. Then we can have everything we want and accept that what we have is simply enough.